By Faithbleed, December 19, 2015 in I.C.E. New to the forums, but not Subby's. Had an Legacy GT which I blew up a few years ago, went to Honda, but have come back home with a newly imported 2005 Legacy very recently. My model has come with a Pioneer Carrozzeria DVD/Navi unit (AVIC-DRV05). The unit is in Japanese, but fortunately comes with the loading DVD, so technically I can play Japanese zoned DVD's and muck about with hard coded Japanese Navigation. Ultimately it's useless to me and my google searches so far have shown that these can't be converted to English. So, the solution is to replace it with something. Do I look for a single din headunit or is this whole thing double din? Anyone replaced one of these before and is it easy enough to do (I've done 3 single din replacements previously). Also, currently the radio come out of the stock radio below this DVD/Navi, will I need to disable that sucker? Cheers for that. Do you know of any links to builds with the nexus 7? Only problem is the standard fascia kit most of these use has been discontinued and one with a slightly different shape is available instead. You'll see some info on that in the last few pages of the first link. I saw that on another forum, budget, but functional. I saw this one as well. Looks a bit more complicated than I'm capable, but might give it a go. Can you get the standard or even the new facia kits in NZ? If so, how much are they? Are we talking the plastic ducting bit or is it more than that? Also is it strictly a Nexus 7 (not 8 or 9) that works? 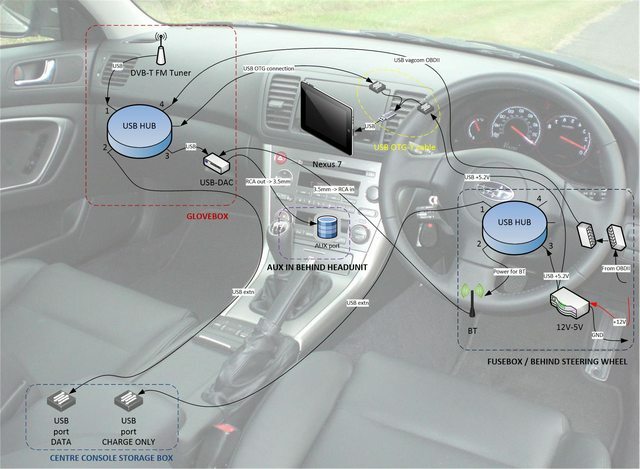 Are there no double din options at all and can you fit a single din if not double? Is there anyway to fit a decent head unit in the vehicle, like a radio/cd/CC rack where the radio can be easily removed? Highly unlikely you'll find them anywhere in NZ unless second hand. AVOJDM is the only place I know of that does the fascia with the double dinn sized hole. Haven't actually seen any installs with that fascia so don't know how well it'll fit. Any tablet will work but the only part that is the issue is when using the USB OTG cable the charging power is hugely limited. So you could get by using any tablet as long as the USB connection is only used for charging and not data. The reason the Nexus 7 tablets are so common is because a custom rom was developed to bypass the charging limit when using the data portion of the USB connection aswell. The rom can be altered on other tablets to achieve this but the custom Nexus 7 one is more than just the power fix. Does all sorts of background commands for switching certain modes when 12v power is stopped/started. If you don't want to go for the tablet option to keep things simple then you can just rip out the stock unit and chuck a single or double dinn in there and either put a single dinn pocket in the top opening or get a folding lid one from a wrecker. Don't know about being easily removable. 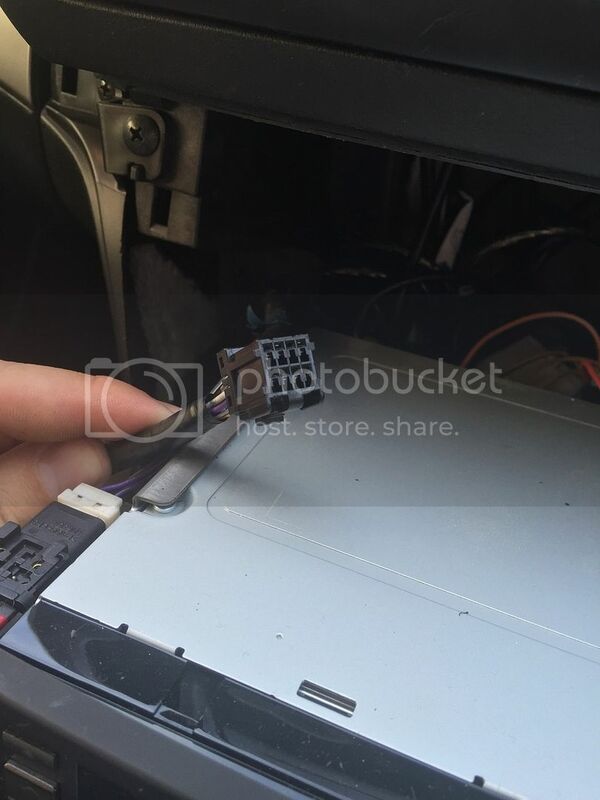 Is any properly done headunit install easy to remove, wouldn't say its hard but wouldn't call it easy either. 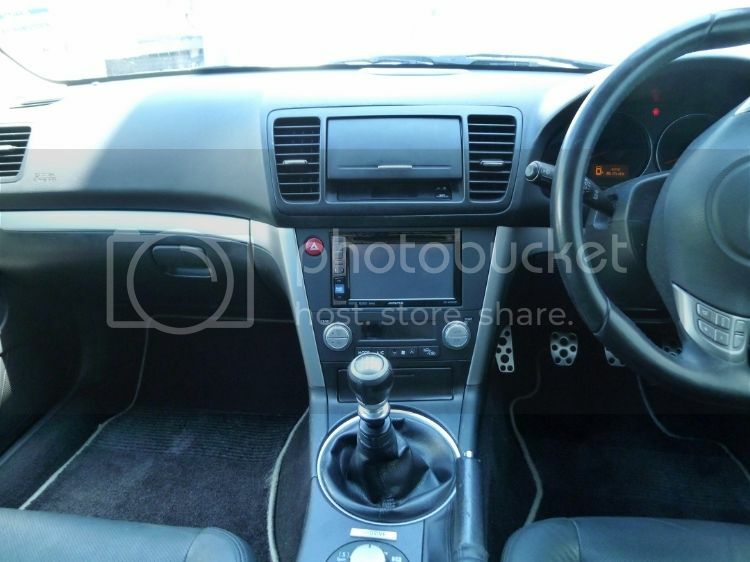 yours is a bit of an odd one, have never seen the manual A/C controls on a JDM car before. Will make getting a replacement kit cheaper though since the whole A/C controller isn't needed. Should be able to find one like this with the button holes reversed. Thanks for all your replies, thats really helpful. I like the look of your setup and might go with a similar setuo initially then add the nexus later. Is a gen 1 or gen 2 nexus 7 preferable? Gen2 if you want to run Android 5.1.1. The last update of the custom rom on the Gen 1 was 4.4.2 I think. Also if you can afford the LTE version it makes life easier than having to have a separate WiFi thing in your car. I'm putting the Nexus idea on hold for now and will try replace the current vent fascia with the lid version. 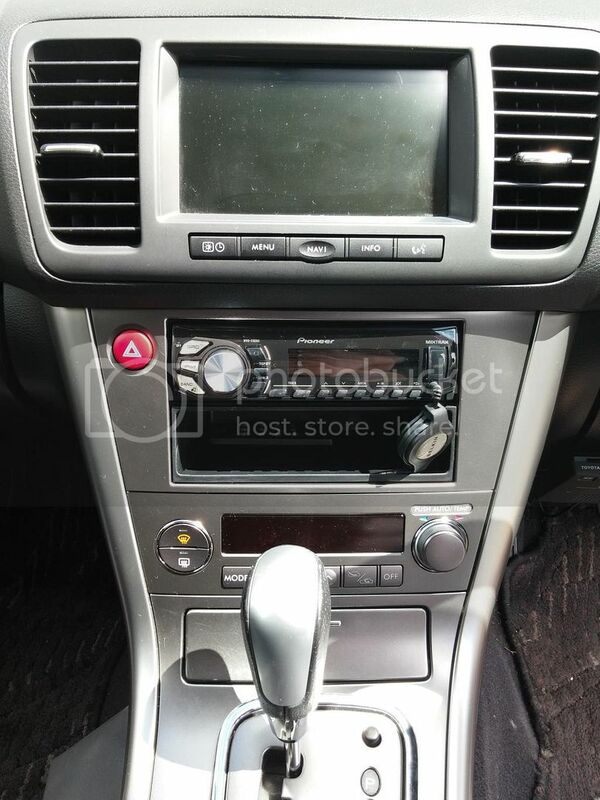 Going to order that double din aircon/radio fascia though and chuck in a touch pad headunit and upgrade all speakers. Anyone know if there will be any issues fitting a pair of Alpine SPS-610C 6.5" Componant's in the front (will I need spacers and will the tweeters fit etc)? I think i see what you mean now. 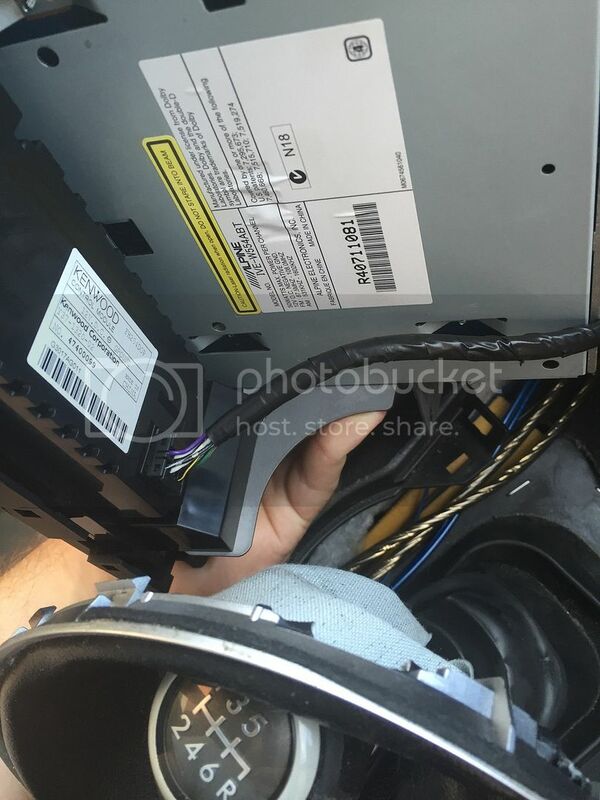 Im struggling to find a a/c stereo fascia that will allow me to install an aftermarket headunit. I got a single din HU and currently have it stalled without the fascia (and it looks dog ugly). 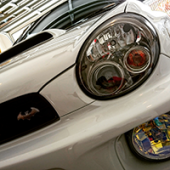 Anyone know a place that actually has/sells right hand drive fascias for a 2005 legacy? just to clarify, you're looking something like the below? One of the clubsub members sells them on trademe. 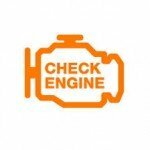 If you have a 2005 chances are you're only single zone climate control. Ive done a complete nexus 7 install as well. They gen 2 ones work well! The difference is his has the manual knob style air con controls which no one bothers importing because very few cars have them. This is in essence the problem. I actually only need a replacement fascia, not a whole new aircon + fascia kit. As Andy said earlier in the forum, I need this: http://www.ebay.com.au/itm/351249305888 but with the button holes reversed. I actually bought this fascia as it wasn't that expensive, the trouble I have is I would need a UK hazard switch and would need to move my A/C button from get it to work, like so. Does anyone have any experience with doing this or know if it's even possible? I've searched long and hard and can't find a right hand drive version of this fascia anywhere, so it seems moving the A/C switch and sourcing a UK hazard switch may be my only solution. What does the wiring behind yours look like? 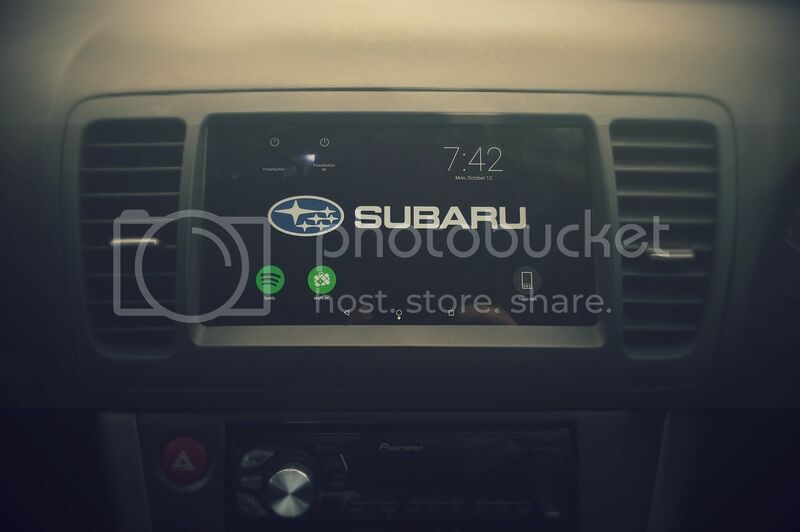 With subaru being subaru there always is a chance the correct connector is sitting behind there to plug in the digital display model. Can't imagine they actually use manual connections to vents like older cars. I'd probably need to know what connector I'm looking for. There appears to be one or two smaller connectors spare, but I think they're from the stereo. The aircon works just fine as is and I'm really keen to keep costs down, so getting a whole new digital aircon kit is more or less off the table. Thats what the plug looks like. I'll have a look, cheers! They don't look like anything you linked. Anyone got any other bright ideas, because I'm getting very dispondant.